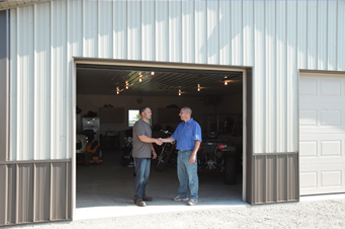 A&M Buildings constructs quality steel covered post frame buildings for business and individual needs. Whether you call them timber frame, pole frame or steel buildings. A&M is family owned and Wisconsin owned and operated. We excel at providing extensive service and support through the entire building process, from planning, design, and through construction. A&M works with businesses and individuals throughout Northeast Wisconsin, from Fond du Lac to the UP, and Wausau/Stevens Point to Lake Michigan, including Green Bay, the Fox Cities, and Oshkosh, to provide a great building experience. For a Great Building Experience, choose A&M Buildings. 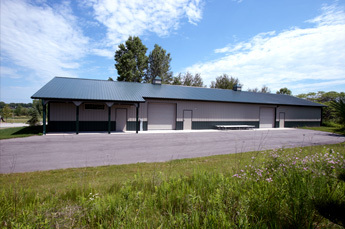 Call Andy and A&M Buildings at 920-833-1808 today!